Job Hopping – When is the best time to change jobs? With the holiday season upon us, many have the time to consider their employment options. The holiday break brings hopes for a fresh outlook and a new employer as one of their new year’s resolutions. Are we changing jobs more frequently? 56% had been in their jobs less than 5 years and 18% had been in their jobs less than 1 year. About 66% of women and 60% of men who left work during the year did so voluntarily. In the same 1 year period an estimated 240,000 men were retrenched compared with 149,000 women. Managers, professionals and clerks were least likely to switch jobs. Sales workers were most likely to switch jobs. • Employees might change their jobs, but were not so likely to change occupation. Of the 1.4 million managers who left work during the survey period only 5.5% moved to a job outside management. • Just 9% of the 990,000 labourers who left work moved onto something other than labouring. Did you notice that the statistics above show that not everyone CHOOSES to leave their job? If your employment is secure, how long should you stay at your job (even if you don’t like it)? It may be that job hopping could impact your future employment options and, even worse, your future borrowing options. You may be right to be concerned. A Bullhorn survey reports that 39% of recruiters believe the single biggest obstacle for an unemployed candidate in regaining employment is having a history of job hopping or leaving a company before they have been there for a year. In fact, recruitment managers said a 55 year old with a steady employment history is easier to place than a 30 year old job hopper! When is the best time to change your employment? There isn’t really such a thing as a perfect resume because there are so many reasons for leaving a job and other reasons for staying in your current employment. Your reasons and decision to change matter on a long term basis as well as a short term one. If I start a new job, how does that affect my ability to negotiate a loan? If your new role comes with a pay rise it may increase your borrowing potential as your income level is obviously a key to your ability to repay a loan. But lenders might be more concerned about the security of your new employment than your potential greater capacity to repay. These factors influence the lender’s assessment of whether you are a good credit risk. They tend to prefer applicants who have been in the same job for two years or more. If you change jobs during the application process however it is usually regarded more positively if you are staying within the same industry and employed in a similar role. If you are contemplating a new job during the next six months, you really need to book a time with us to assess your options and cover any concerns the lending institutions may have. Please call us before any decisions are made. 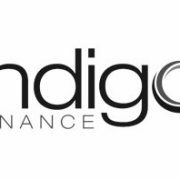 http://www.indigofinance.com.au/wp-content/uploads/2017/03/default-v2.jpg 198 300 wsadmin http://www.indigofinance.com.au/wp-content/uploads/2017/01/indigo-finance-logo.png wsadmin2016-12-29 02:48:102017-03-09 02:18:45Job Hopping - When is the best time to change jobs? School’s out! The end that opens new doors. Some of us are excited by the end of the year as it means warmer weather and maybe even a summer vacation. 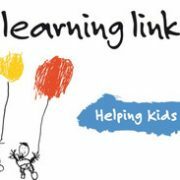 For others it can be an emotional time as children finish the school year for the last time and enter the adult world of more responsibility, employment or further education. Letting go of the apron strings and facing the prospect of a less busy home can leave a big gap in the lives of many parents. It DOES however come with some benefits. After years of personal and financial support of your children you can now refocus on your own personal and financial goals. Remember those? You used to have them! As children leave school – and in most instances start on their own path to financial independence – parents may find they are in a position to take advantage of savings now they are no longer funding school fees, text books, uniforms, tutoring, sporting activities etc. We all know we should create a budget at least annually but often fail to do so. As kids complete schooling there WILL be a change in your budget – make sure your new found savings don’t get swallowed up in your daily lifestyle resulting in a missed opportunity. How could these additional savings be used to create a successful financial future? Make additional mortgage repayments to pay off your loan sooner and save thousands in interest. Reduced expenses means improved serviceability for a new loan that could fund an investment property. You could use the equity in your home as security for the deposit. Take advantage of superannuation thresholds that allow you to make additional contributions into super. Concerned about your level of debt? Talk to us about debt consolidation. A combination of lower interest and extra payments could see you get on top of debt in no time. There are many other options, but regardless of the option you choose there is no smarter decision at this time than investing in your future financial independence. This time SHOULD also mark the start of the journey to adulthood for our kids. While many will go on to tertiary education it is never too early for them to learn financial skills for the future. What are some ‘mistakes’ we make with our school leavers that may undermine THEIR path to financial independence while continuing to impact our OWN finances? We think letting them live at home at no cost helps them get ahead when in fact we’re giving them a false sense of reality. Kids NEED to learn about everyday expenses and how to manage them. Solution? Charge board and have them contribute to utilities. Still want to help them? Save part or all of the money to assist with a home deposit down the track. With student loan schemes currently interest free, does it make sense to use your cash to pay a debt that attracts no interest? Even with an upfront discount it pays to do the sums. If you were to consider purchasing an investment property instead, you could not only be building your own wealth but also it may put you in a better financial position to help your kids later. The other plus? Your kids will learn the concept of ‘user pays’ if they are responsible for their own student loan. As a rule of thumb you should divide take home pay into 50% to essentials, 30% to lifestyle and 20% to savings. Credit cards can lead to financial disaster – it pays to be disciplined about use and repayments. Poor financial habits COULD impact your ability to qualify for a home loan in the future. Ensure your kids know about the role super will play in their future. It should be a focus from their 20s – not their 40s. 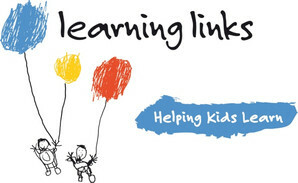 http://www.indigofinance.com.au/wp-content/uploads/2017/02/School’s-out.jpg 114 300 wsadmin http://www.indigofinance.com.au/wp-content/uploads/2017/01/indigo-finance-logo.png wsadmin2016-12-21 02:45:042017-03-09 02:19:19School’s out! The end that opens new doors.